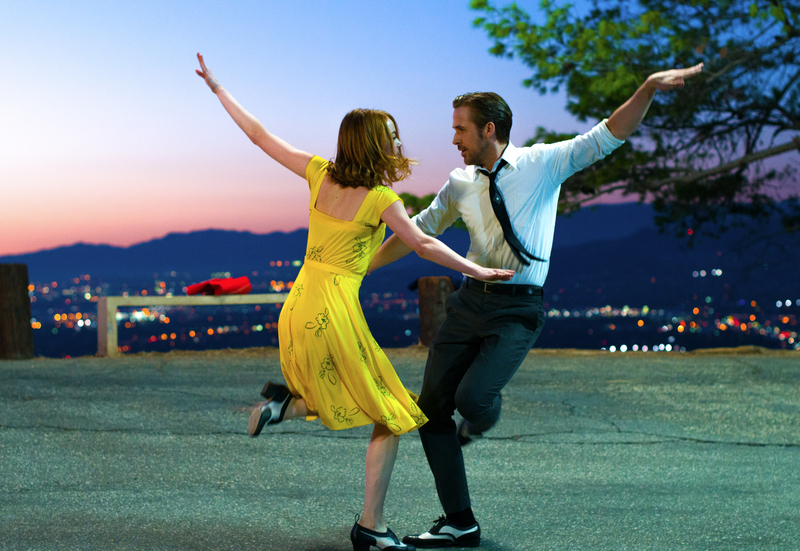 I am a regular movie watcher, so naturally I would have to see La La Land the week it was released. I often leave the cinema thinking I enjoyed that film and want to see it again. But very rarely I walk out of the cinema and the film has completely moved me. Everything about it transports me back to my study days, it ticks all of the boxes for acting, directing, costume design, set design, cinematography, mise en scène. The Matrix did it (I wrote my dissertation on it), Inception did it and now La La Land has done it. It’s the reason I started this blog. A film that makes you want to talk about it after. My friend walked out of the cinema with a different feeling to me, she was finding it hard to process how she felt about it. We checked our Facebook check-in post to see comments from people that had already seen it stating the same thing asking to discuss what they thought of it. It is very rare for a film to get so many people talking about it and debating it. Not just “the new Star Wars film was great/bad”, but what specifically pulled people in, what specifically people did/didn’t like in a film. La La Land certainly does this. There is no denying the chemistry between Emma Stone and Ryan Gosling. You just need to watch Gangster Squad and Crazy, Stupid, Love to see that. Emma is brilliant as the female lead. An actress, acting a role of an actress constantly rejected, audition after audition. I’m sure it is something she could understand before she reached her current success. She has this incredible ability to always come across natural. A perfect mix of funny, vulnerability and charisma. She might not be the best singer, but her singing is perfect for this role. 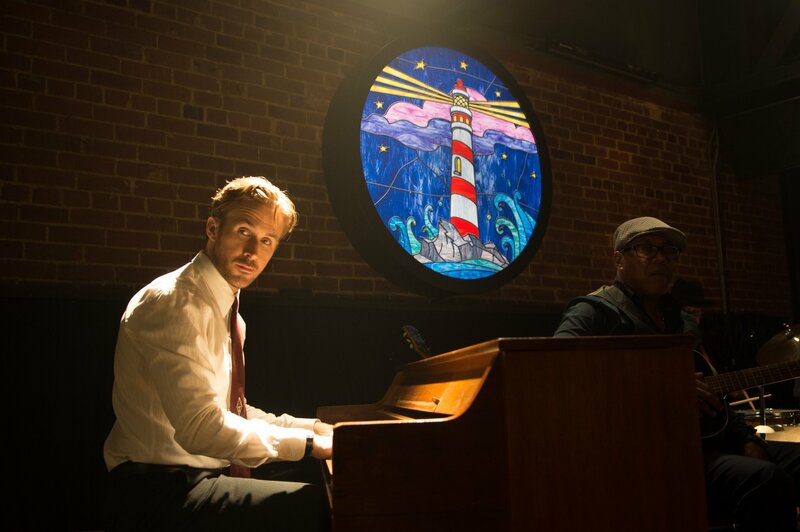 Ryan Gosling is incredible playing the jazz musician. His piano skills are well and truly outstanding. I recall reading an article a while ago (although for the life of me can’t find any records of it now) that Ryan Gosling used to dabble in jazz music in between his child acting and his step in serious acting as an adult. Music has always been something that his is passionate about. In 2009, he and his friend Zach Shields formed a band, Dead Man’s Bones and released a self titled album, which is regularly on my playlist. With Gosling on vocals and piano (among other instruments – all self taught according to Allmusic.com), their song “In the room where you sleep” is eerily good (check it out below). Also, jazz piano did not come instantly to him. Gosling was in piano lessons for two hours a day, six days a week. Whilst all of the music was pre-recorded by Randy Kerber, Gosling learnt every note, so everything in the film is him – no hand doubles! 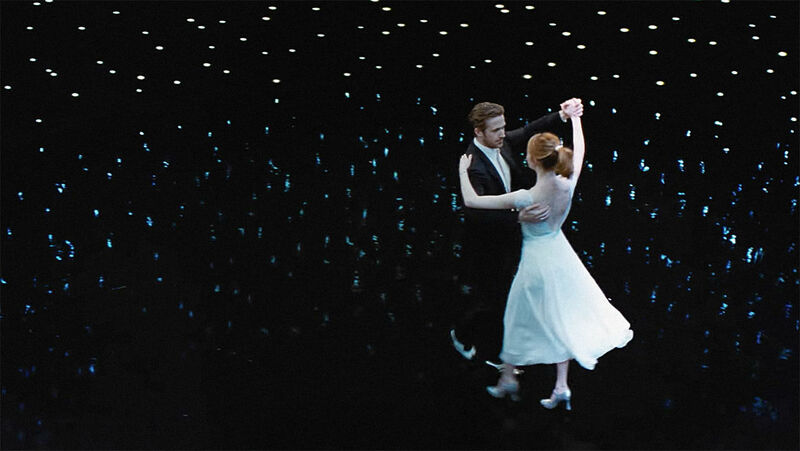 But even before we seen Stone or Gosling, I was in love with this film from the opening scene. A true homage to the classic Hollywood musicals. The use of block colours throughout the film, but in particular the opening scene are a perfect hat tip to the Technicolor boldness of the 50s and 60s. It makes me want to replace my entire wardrobe with nothing but bold block colours (and I’m a patterns girl). But, if you aren’t a fan of musicals, please don’t be put off by this film. This of it as a modern tale of two people who meet whilst both on different journeys seeking out their dream, who fall in love with each other for their mutual drive, passion and determination. There are only a handful of songs in here, and all compliment the story perfectly. With a story centred around a musician it is often the perfect setting to subtly weave in songs to a film, without it feel like they are constantly randomly breaking into song. This film will make you laugh and cry. It will have you changing up your wardrobe and craving signing up for tap lessons. From the very first minute of this film a new it was a modern classic. This will be up there with the classics.